Comics are shipping on THURSDAY this week remember. DO NOT GO on Wednesday, they will not be there. Instead, check back here at Your Comic Relief! This comic is based on the video game for the Xbox 360, is written by Hoshua Ortega, illustrated by Liam Sharp, and published by Wildstorm comics. 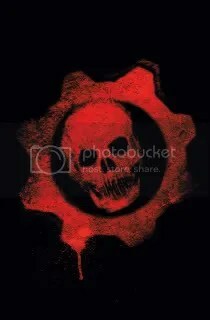 It is set two months after the end of the first Gears of War game in which a “lightmass” bomb was detonated at a location called Timgad, supposedly destroying the bulk of the locust (bad guys) army. The main character is Marcus Fenix, who is supported always by Dom Santiago both have a returning role from the game. The other characters shown so far are exclusive to the comic book. Usually I do a plot synopsis section, but this issue can be summed up by saying that they start out looking for guys, find one, and then start their trip home. Then they get shot at. Seriously, that’s it. There’s really not much to it. For anyone who is new here, I use this section to discuss things that don’t fit in other parts of the review. Also, I refuse to give a rating out of ten. 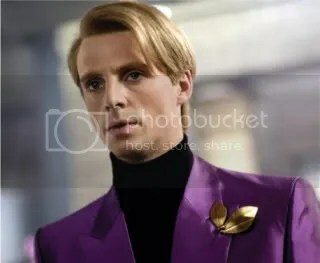 It is my firm belief that comics, like any other art or literary form, can not simply be judged as a 6, or an 8, and to do so does them injustice which cheapens them as a medium. That said, I did not like this comic. For the reasons mentioned above; seemingly ‘off’ artwork, and a lackluster story, but also because every other page seemed to be an ad. While I understand that comics make most of their money from ad space, it really seemed like every right hand side page was an ad. There were 22 pages of comic, and 17 pages of ads. Seventeen! That’s just way too much. So, no. I would not recommend this, but if you are a huge gears of war fan, you might appreciate it. Welcome one and all! Welcome to the latest issue of Your Comic Relief presents. This time? Your top 6 comics to be thankful for this Thanksgiving! Please take the time to comment and leave me some feedback! It is much appreciated. A title that I am quite partial to, as I am a huge fan of Greek, Roman, Egyptian, and Norse mythology, Incredible Hercules took over from the Incredible Hulk after World War Hulk ended. This issue has been faily reliable in terms of quality. Hercules, accompanied by Amadeus Cho, has set off destroying just about anything in their path, and while much of this has been Cho’s conniving, it has also been Herc’s unpredictability that serves as the catalyst for their antics. In fact, watching their interactions is one of the many joys this title offers. Uncanny X-Men had some problems with messiah Complex, it really was just OK. Not as awesome as it should have been or really as we were promised it would be. However, the last 6-8 issues of Uncanny have been absolutely fantastic. 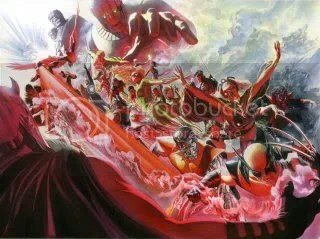 Another product of Brubaker’s undeniable, and often simply unbelievable contributions to Marvel. Now co-authored by Matt Fraction and Ed Brubaker as of issue 502 My favourite part of the last 3 or so issues have been the (re)introductions of each of the characters in each issue, which the authors have taken as an opportunity to make some much appreciated jokes. 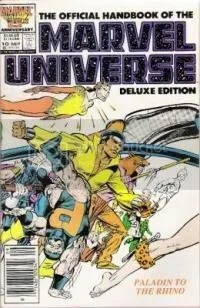 Of the jokes, I think the best one has to be calling Wolverine “ubiquitous,” meaning everywhere at once. I have to assume this is a reference to Wolverine appearing in so many Marvel publications, I remember over the summer there was a week where he was in every single release, and I’m sure that can’t be the only time – just the time I noticed. Another aspect of this that I have greatly appreciated is the expansion of Pixie as a character; previously a side character in the x-men B-team, but she is now turning into an actual relatable character. This, mixed with the recent storyline, allows Uncanny X-Men to make the cut into the Your Comic Relief Thanksgiving Top 6. I have included both titles in this, because in my mind, the star of C&D really was Deadpool, with Cable serving to create meaningful plot devices and serve as a rational figure by which we could appreciate how utterly absurd Deadpool is. The last several issues of Cable & Deadpool, the “X and Deadpool” run, while we were supposed to believe Cable was dead. Did anyone raelly think that? 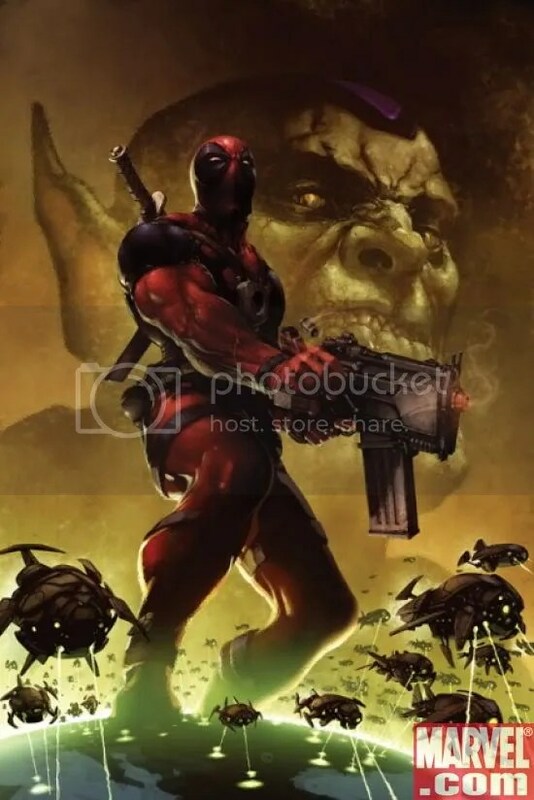 The new Deadpool series features Deadpool still actively ambiguous about his allegiances, and whether this is a function of his dubious (at best) mental compas, or his ever blossoming psychosis, I don’t think even Marvel Knows. 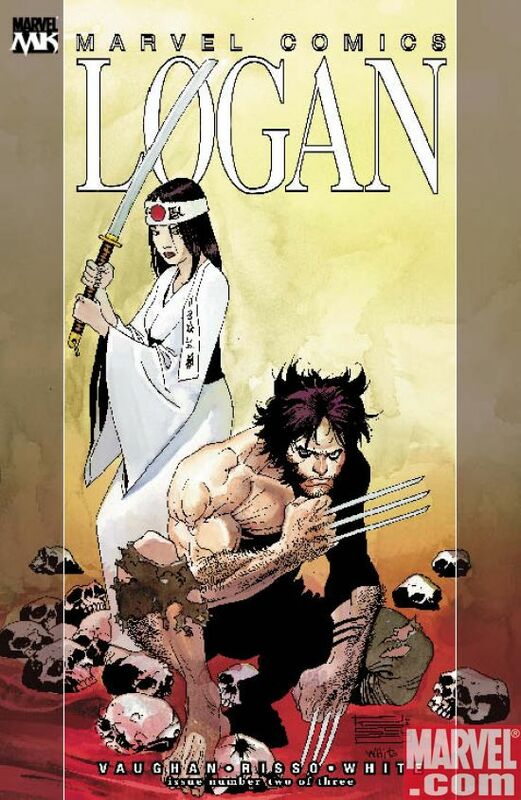 Written by Daniel Way, and illustrated by Steve Dillon, Wolverine Origins has delivered unique story arcs to us all year. With guest appearances from Deadpool, Captain America, and most recently Daken (Wolverine’s Son). Probably one of the best arcs of the year in my opinion was the confrontation between Wolverine and Deadpool. A matchup that people had been waiting for for years; while they did meet up in Cable & Deadpool, it was overhyped and anticlimactic at best. This time, it went on for several issues, and really delivered. 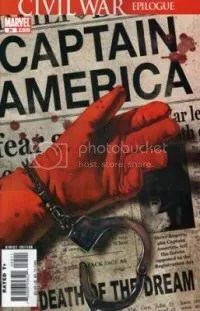 This title has had the ability to run the gamut of emotional possibilities, from the more serious aspect of the Cap’s storyline to the sheer ridiculousness of Deadpool. 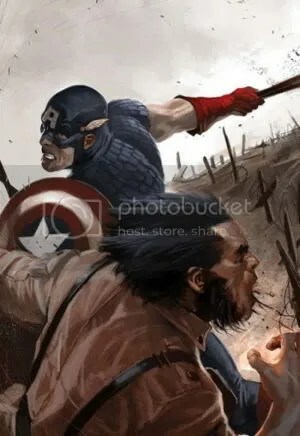 It didn’t stop there however, the story right now of Wolverine and Daken is a reminder to the seriousness of Wolverine’s past, the decisions he has had to make, and stands in stark juxtaposition to the humor of seeing the Wolverine-Deadpool confrontation through the warped mind and eyes of Deadpool. This title has had its ups and downs as of late. Back when it was Iron Man: Director of Shield, which was before 2008 if I’m not mistaken but bear with me, it was very hit or miss. 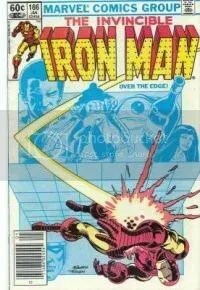 There was some subplot of “Iron Man might be Crazy!! !” Very hit or miss unfortunately. However, with the most recent story arc of nuclear threat (which as an aside, reminds me of the Ultimate Iron Man II series of 4), Tony Stark has had the opportunity to return to his self-sacrificing…. self. If you get right down to it, I firmly believe that this is why the Director of Shield thing didn’t work out so well. he had too much responsibility that he couldn’t afford to do something that everyone else saw as incredibly stupid. More often than not, his decisions have been incredibly reckless, but he saw that it had to be done, and he was the only one who could do it, such as defusing a nuclear weapon about to go off. As with Uncanny X-Men, the most recent story arc really makes this much more of a contender than it previously would have been, not to say that before this arc has been bad mind you! 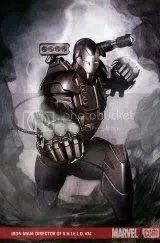 Also, Warmachine is totally badass, and anyone who disagrees has to answer to giant space robot. They should pay me to love Ironman and the Number One pick this much, am I right? Now for the number one reason to thank marvel this Thanksgiving! Captain America has been Ed Brubaker’s work this year, and damn does he do good work. In my opinion, this has been THE title to read this year. Every issue has just been stellar. I’m not even sure to begin, and am a little ashamed that this paragraph is so much shorter than the others, but honestly, it’s just all good. It is always the first comic I read whenever I get it home, bar none. 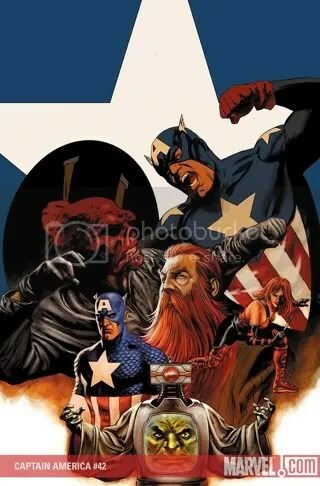 Bucky is shaping up to be a fantastic new Cap, ant the interplay between Faustis and the Red Skull has been fantastic, with plots within plots. Agent 13 and Falcon have been well developed, but really, the best part has been how in each issue a little more of the Skull’s plot has been revealed to us. 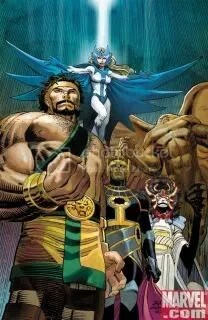 While there have been some cool Thor tie ins, the Secret Invasion was entertaining if nothing else, the bit that happened about Egypt was pretty cool too, and was a cool insight into how the Marvel universe allows for seperate sets of deities, especially if you read the Incredible Hercules as well, issues like 114-117 or something like that. But I decided to limit myself to regular titles, and not consider limited series such as Logan by Marvel Knights (which is beyond fantastic by the way), or the numerous Thor extra releases recently. Once again, let me know what you think of my list, and, if any comic bloggers who are big DC fans would like to do a DC version, I would be honored to publish it, and of course link to it. Just in the spirit of fairness, I would like to have a DC version, but in the spirit of honesty I don’t know much about DC. That’s it for YCR Presents, have a happy thanksgiving! So, the giant sized astonishing x-men arrived in the mail the other day, and I just sat down to read it……. and I have absolutely no idea what is going on. If only it wasn’t multiple months between issues. Now I have to go into my long boxes and search out whatever the last issue of astonishing was, so that I can put everything in context. If Whedon got Astonishing out like every other month this wouldn’t be such an issue, but then again, if he took longer it might not be so amazing. Attention all! Ebay week if (finally) underway! After many false starts, including yesterday (my job started that day and I completely lost track of time), I almost failed uploading tonight as well due to the storm, but I think I have a window of time big enough to get this post up. This week should prove to be fun, I even have a guest post from Mike Haynes of Panels of Awesome, but that’s for later. So, let us begin, how many times have you missed a single issue that isn’t in your pull box, or you have a run of old comics and are missing a few issues? Well, Ebay can be a wondrous source of single issue comics, even if you are not looking for one particular comic, but you’d like to collect some back issues anyway. While the amazing deals are out there, We, as the comic book community are still feeling the effects of the comic speculation bubble, and as a result there are a lot of overpriced comics due to overspeculation, and a lot of general crap floating around. But hopefully with these few tips will help you accurately search out what you are looking for. Before I start however, I have to say that this is merely a bargain hunting strategy, and if you happen to be looking for Ultimate Spiderman #1 Variant, you’re going to have to be prepared to pay top dollar. Speculation, What is it, and how does it affect me? Comic prices are very interesting, as there is no simple linear rule to defining the prices (eg, older = more expensive), as the aforementioned speculation. First though, we must address the issue of, what is speculation? 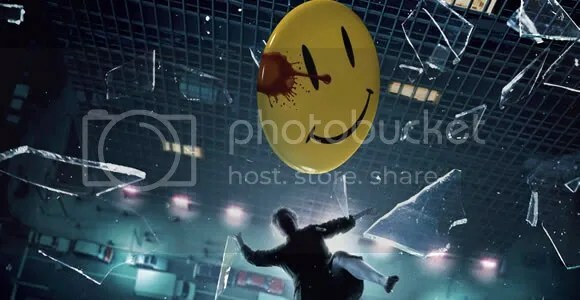 Speculation, put simply, and in the context we are viewing it, is the act of speculating or guessing that a particular item, in our case comic books, will one day become valuable, or that it can be resold for more later. Speculation, literally defined means trading with the purpose of making profits, and I’m sure you’ve seen this, such as when Captain America #25 was released, and it was immediately being sold, or attempted to be sold for $25 dollars on Ebay even though my local comic shop was selling them for the standard $2.99. The first printing was fairly limited however, and they probably sold. As much as this is something that does not please me, I don’t believe my hobby should really be belittled by others for profit, it is a viable trade strategy. 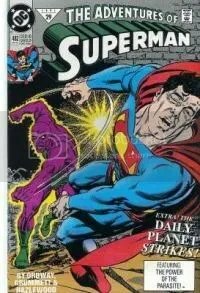 We saw the same attempts with the Death of Superman, but DC printed an incredibly large number of those issues, and they’re now found in bargain bins pretty much everywhere. So, the most expensive comics will be the old rare ones, followed by more recent comics being sold by people trying to make a quick dollar, but if you’re searching for something a little more obscure (ie, not a hot item), from the 70-90’s, you’re sure to find a great deal. What should you, as an honest comic collector take from all this? The short story is, if you are hoping to pick up an important issue you may have missed, Ebay is probably not the place. Heck, the internet is probably not the place you want to look. My advice would be to check out other comic book locations in your local area. Chances are one of them heard the issue was going to be big, and ordered some extras, especially if there is a comic book store located in a cit around you, such as midtown comics in NYC, or a very small comic shop, that probably doesn’t get many patrons is also a good candidate; basically anything on either extreme if your first choices aren’t working out. Moving on to what Ebay and the internet can do for you, instead of what it can’t. For this installment of Ebay week, I will be giving some examples and pointers of good search methods, some of which can be applied to finding just about anything on Ebay. First off, know what you are looking for, or alternatively, know that you are not looking for anything in particular, and just browsing. If you have never used Ebay before I suggest you do some browsing, and test searches before committing to anything, it can be daunting, and you want to make sure you are getting the best deals. First off, make use of the categories if you are just browsing, but if you are looking for a particular item, it would be best to not limit your categories due to poorly categorized items, a good example of this would be listing an autographed comic under collectibles, or memorabilia. Also, while browsing/searching, be sure to look to the left hand of your screen. The upper section allows you to limit your search to categories and sub-categories, such as only silver-age comics. Below that allows you to limit or expand your search to include Ebay stores as well as those who offer free shipping. 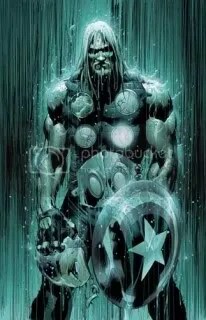 Now, onto the specifics, when searching Ebay, instead of just searching “Signed Thor comic” and taking the first thing that pops up, do alternate searches using synonyms, such as autographed, graphic novel, or include the author or illustrator. Doing this requires you to make good use of the watched items feature. Just click “Watch this item,” and come back to all your favorites later. Doing this allows you to really see what the bargains are. 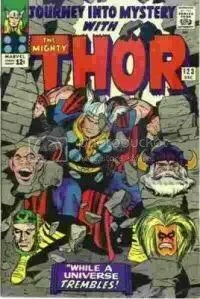 I’ve picked up a good number of comics for exceptionally cheap, such as Journey into Mystery #123 for about $12 US, or the occasional bargain for $3-5 US like the last issue I needed my for Official Marvel Handbook series. However, don’t be afraid to be patient, if you’re in a rush you’ll make mistakes. In my hurry to collect and read all the issues of Civil War I had missed, I ended up spending way more than I had to, and then shipping on top of that! Remember to look for deals on shipping, many sellers will offer them. Addendum: For examples of what I’m talking about, see my other blog “Life of a Welshman” for proof that great bargains DO exist out there! Today’s entry can be found here. So, as an update on my comic-marathon, I’d just like to say that I finished Logan #2, and holy crap. The first one was amazing, and the second one blew me away. I know some people harbor misgivings about Marvel Knights because of some sub-par titles in the past, but right now Marvel Knights is on fire. The last few series they have put out, Captain America: The Chosen, Silver Surfer: Requium, and now Logan do nothing but prove it. Sure, Chosen kinda ran along 1-2 issues more than it had to, but I wish Logan was packing more than three issues. This is just spectacular, and to anyone who hasn’t read it yet, get on that, even if you’re a die-hard DC fan, I want you to go read this. Feel free to comment if you disagree, maybe drop me a line, I’d like to know if anyone out there feels the same way I do.